Koehler-Bright Star is recalling flashlights due to an explosion hazard. About 7,500 flashlights are affected. The model is the Koehler-Bright Star WorkSafe Model 2224 LED 3-D cell flashlight. The model number is printed at the top right side of the text contained on the flashlight. 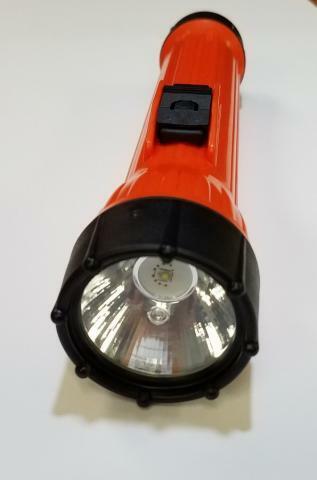 The flashlight is safety orange with a black reflector assembly and black end cap and measures about 10.25 inches long by 2 inches in diameter. Only 3-D cell flashlights that do not contain a date code stamped on the body of the units are included in the recall.